December 16, 2013: Create a seasonal symphony in seconds…with snow! 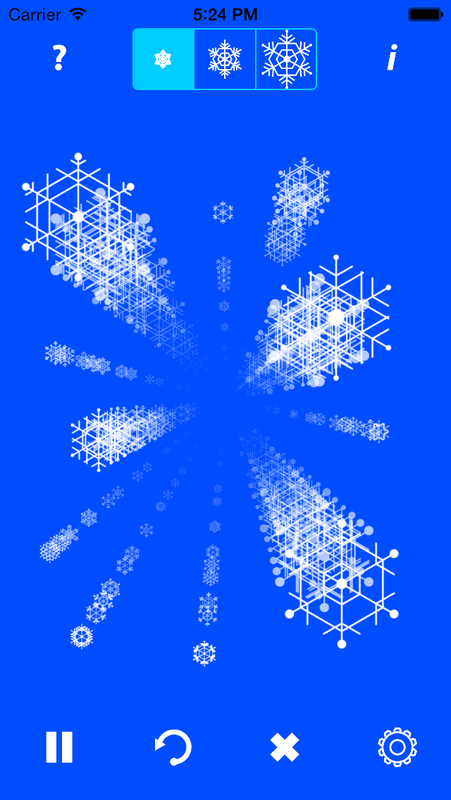 Tap the screen to draw unique snowflakes. Each snowflake creates a beautiful sound as it fades into the distance. Contemplate the beauty of nature’s geometry from a cloud’s perspective as you watch snowflakes fall from your fingertips.